Croatia is one of the most popular tourist destinations in Europe, attracting millions of visitors annually. It is a country well endowed with endless opportunities for leisure, relaxation, adventure and fun. Some best places to visit in Croatia are its famous islands. If you are planning to visit Croatia, touring its islands will definitely offer an adventure of a lifetime. With over 66 inhabited and 1,200 uninhabited islands, you are basically spoilt for choice. However, if you intend to have a favorable time, the there are some islands which you cannot miss out on your itinerary. The following are the top 5 island destinations, for people seeking for fun, adventure and excitement. The ancient explorer, Marco Polo, is said to have been born on the island of Korcula. The island’s town of Korcula is the quintessential medieval town, complete with narrow stone lanes, a town square with a 15th century cathedral and museum. The museum has Greek and Roman artifacts, pieces of Venetian art and the island’s stonemasonry and ship building traditions. You can also head inwards, to visit the famed ancient bell towers and vineyards of Zrnovo. There you can sample the island’s traditional wine. Upon your return to Korcula, you can chill out on one of the café’s in the tree-lined promenade overlooking the sea. 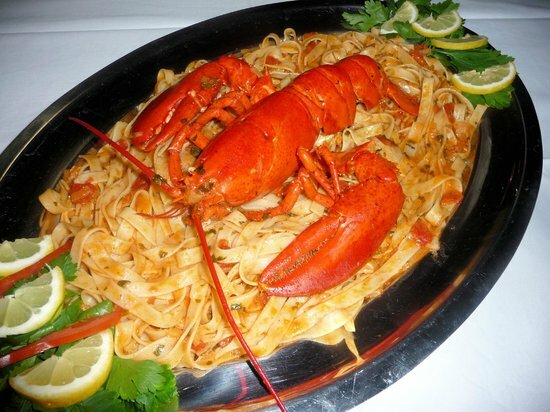 To savor some Dalmatian delicacies, the perfect place is ‘U Maje i Tonke’. Against the backdrop of the picturesque harbor, you can enjoy goat’s cheese, fish, ham, arbaubergines, and wash it all down with some local wine. For an outdoor grill, you can pop into the Planjak for a Dalmatian grill of fish. Mali Losinj is an island located in an archipelago of around 30 islets, most of them uninhabited. The island is well known for its lush green forests, pristine blue waters and calm peaceful aura. The island has a number of bays where you can chill out and enjoy a nice, restorative swim. One such a place is Veli Losinj, an ancient fishing settlement on the south of the island. This idyllic place consists of a mixture of ancient Venetian and Greek architecture. It has an aura of peace and tranquility around it. To enjoy unrivalled serenity, you can visit the famous Aromatic Island Garden. Here, you will find a selection of colorful plants with invigorating aromas. If you want a little challenge and adventure, you can go hiking in the Cekat park. The park’s thick forests, undulating landscapes and rugged terrain will offer you a test of endurance and determination. When you return from the hike, you can enjoy some local dishes at the Konoba Dalmacija. The island of Hvar is home to one of the oldest civilizations in Europe. 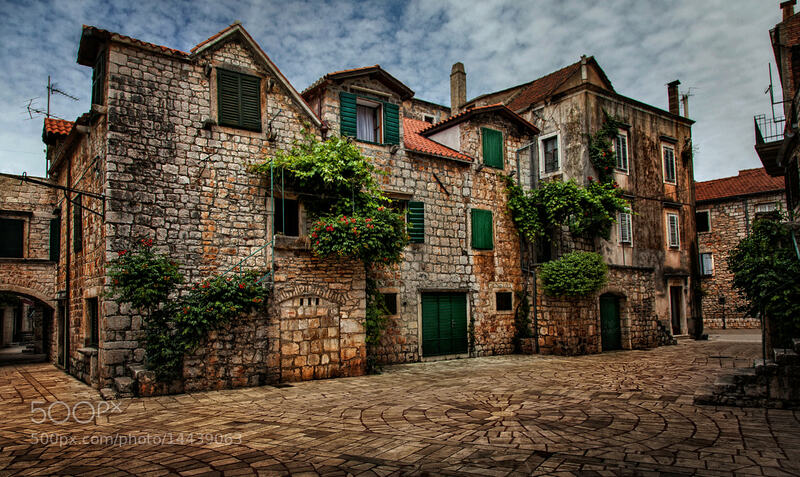 One of its earliest settlements is the town of Stari Grad, founded in 384BC (the year Aristotle was born). There, you can find the maze of stone alleys through which King Edward VIII and Mrs Simpson played hide and seek. You can also find the Jurin Podrum, a restaurant which served the famous couple. It still serves delicious local dishes such as shrimp, octopus stew and olive bread. However, the main attraction on the island is the city of Hvar. Here, you can check out the 45000 square meter town square built in the 13th Century, the Tvrdalj castle, baroque cathedrals, magnificent gardens, boisterous nightlife and luxurious yachts. You can contact Hvar Adventure agency to go biking, sea-kayaking, rock-climbing and touring the island’s lavender fields and vineyards. One of the main attractions in Brac is Zlatni Rat, a beach with the envious record of being the most photographed in Croatia. It simply looks stunning. 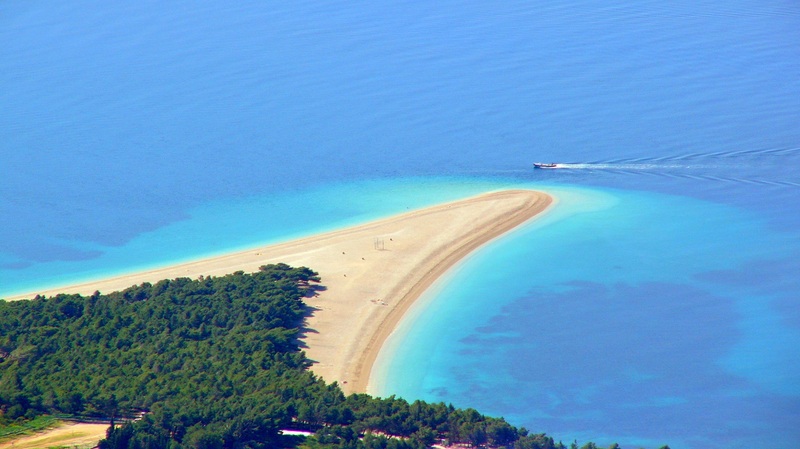 If you are a fan of water sports, you will absolutely love Zlatni Rat. It is where all enthusiasts gather. Its main attractions include jet skiing, windsurfing, parasailing, wakeboarding, water skiing and scuba diving. And if you are in for an adventure, you can go to the village of Murvica and visit Dragon’s cave. You can also climb the Vidova Gora mountain, to enjoy spectacular views of the island. And don’t forget to sample local delicacies, in taverns in Bol fishing village. If you arrive towards the end of July, then visit Sutivan to attend the colorful ‘Bez regula’ event. This island is famous for its spectacular bays, extensive vineyards, and lots of idyllic beaches. 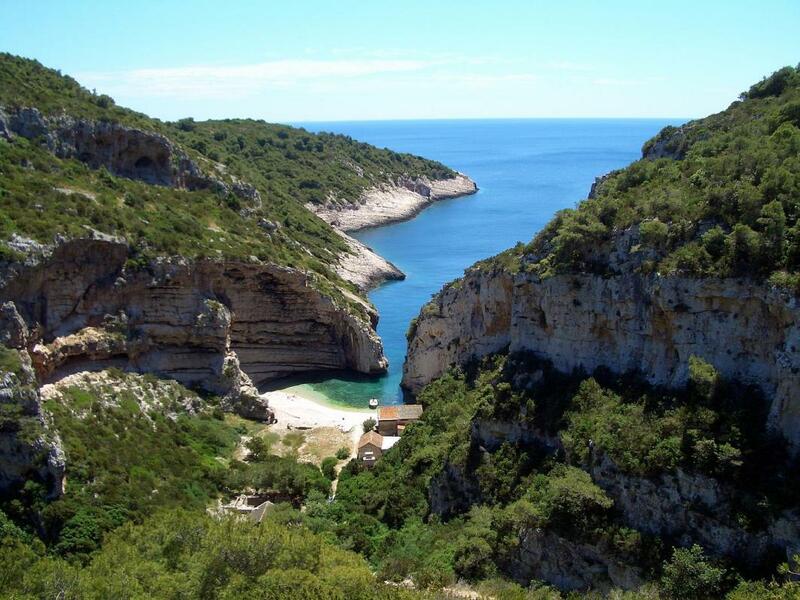 One of its main attractions is Stiniva Cove. Here, you can enjoy snorkeling, while keeping an eye for bottlenose dolphins and loggerhead turtles. You can also drop into the Pojoda or Kantun to enjoy the islands sumptuous delicacies – Vis has some of the freshest lobsters you can find! And if you are in for a cooking adventure, you can visit the Molona Tovna. This tavern organizes fishing expeditions in which guests catch fish, and then are guided how to clean it and cook it in the true traditional style. The island of Vis also has a rich military history. From ancient Venetians to colonial English and communist Yugoslavia, the island has always been a military base. In the village of Komiza, you can see remains of this rich history. Those are some of the best islands to visit on a vacation. The best ways to explore the islands is by renting a boat in one of the agencies offering this service, like chartercroatia.net. This will give you freedom and flexibility to enjoy each island as long and as much as you want. Therefore, if you are planing a trip to Croatia, rent a boat and go on a sailing adventure on these famous islands.